Natural gas is one of the most used fuels in the European Union, accounting for approximately a quarter of our primary energy. In 2006 around 38% of this gas was produced within the EU, in particular in the UK, Netherlands, Germany, Italy, Denmark and Romania. 54% is imported, and this proportion is growing. Norway (16%), Algeria (10%) and especially Russia (23%) are traditionally the most important sources of gas imported to the EU, although imports of liquefied natural gas by ship are growing fast, and from a wider range of producing countries (Egypt, Nigeria, Libya, Trinidad, Qatar, Oman). As gas production in the EU declines in the coming years, the proportion imported is expected to increase substantially. In 1998, the EU decided to liberalise the gas markets. See the overview for a short summary or the European Commission gas website for a full account. Lack of liquidity and limited access to infrastructure prevent new entrant suppliers from offering their services to the consumer. Cross-border sales do not presently exert any significant competitive pressure. There is a lack of reliable and timely information on the markets - normally the lifeblood of healthy competition. More effective and transparent price formation is needed in order to deliver the full advantages of market opening to consumers. Given the concerns identified in the Sector inquiry, the Commission proposed further liberalisation of the gas sector on 19 September 2007. On the antitrust side, in 2007 the Commission completed an investigation into long-term contracts concluded by Distrigas, the traditional gas supplier in Belgium, and their effect on alternative suppliers trying to build up a customer base. 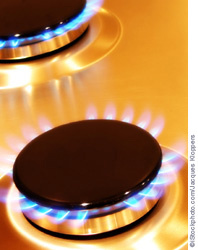 The Commission adopted a "commitments decision" under which commitments offered by Distrigas to limit the duration of its contracts with customers in Belgium were made legally binding. Merger and State aid cases have also been investigated and significant remedies have been necessary (see, for example, the mergers DONG/Elsam/EnergiE2 and GDF/Suez). For a more exhaustive list of cases, see the mergers and State Aid case pages.